All Gaston homes currently listed for sale in Gaston as of 04/19/2019 are shown below. You can change the search criteria at any time by pressing the 'Change Search' button below. If you have any questions or you would like more information about any Gaston homes for sale or other Gaston real estate, please contact us and one of our knowledgeable Gaston REALTORS® would be pleased to assist you. "Stunning Views! 24 Acre Mature Vineyard Planted in Pinot Noir/Gris/Blanc & Chardonnay. Elevation 350 ft. Southern Exposure. Laurelwood/Willakenzie/Jory Soils. Turnkey Winery, 10k Case Capacity. Barrel Storage for 300 Barrels. Commercial Kitchen & Tasting/Event Room. 3 Phase Power. 7600 SF Home Ready for Renovation! Shop & Barn. 3 Wells. Irrigation Rights to Creek. 2nd Building Site w/ Address. 50 Min to Portland. 10 Min to Fred Meyer." "Wonderful opportunity to own award winning certified ORGANIC vineyard and have your own wine label. 20 acre certified ORGANIC vineyard & charming farmhouse on 52+ acres with large pole barn outbuilding. Quiet Coast Range foothills setting easy access to Forest Grove and Hillsboro, Portland just 45 mins & 2 traffic lights away! Melbourne soils, aspect S and SE, ele 400- 620ft.WV AVA and new Tualatin Hills sub-AVA, pending TTB approval." "Breathtaking estate in a desirable, upscale community w/panoramic views! Oversized shop w/3 RV bays, office/game rm & bthrm. Relax in a park-like setting w/mature trees, gardens & wildlife across 5.22 acrs. Inside you will find an open layout w/high ceilings & lg picture windows, bringing in natural light. Expansive deck/patio w/firepit & beautiful landscaping. Wonderful location, in the heart of wine country w/numerous vineyards nearby"
"Single-level home w/panoramic views of valley, city & mountains! Ideal vineyard potential in prestigious Yamhill-Carlton AVA, near renowned Elk Cove & Kramer Vineyards. Cleared 25.6 acres w/Willakenzie soils, ready for vines. Perfect for equestrians too w/6 stall barn, 120x42 indoor arena, 7x21 greenhouse. 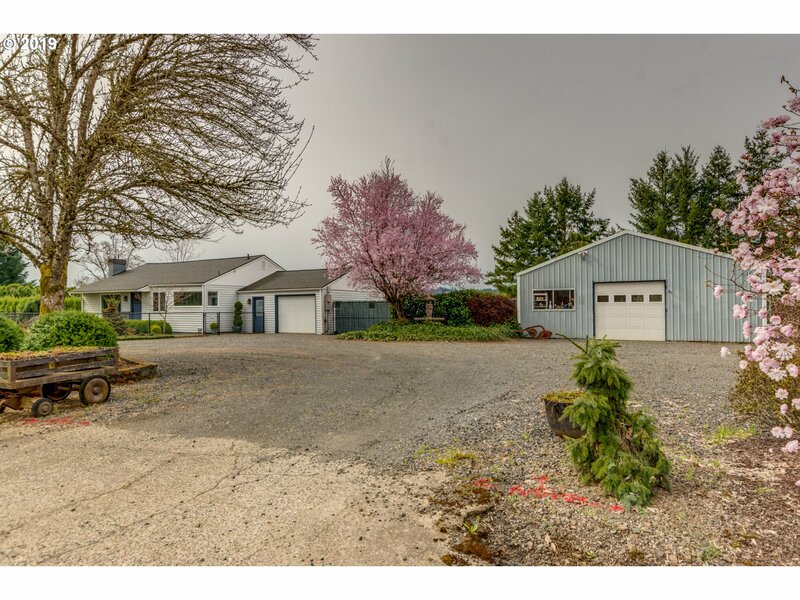 Utilize barns for livestock/storage or convert to winery/tasting room w/easy access to Portland Metro & main tourist tasting routes!" "Great country property 14 Acres in woods and 12 Acres in fenced pasture. Featuring 2 Barns. Perfect for Cow/Calf, Horses or LLam. Shop with drive through Bay, Engine hoist and Built ins.Shop and Cattle barns on separate meter with Farm rates and on LA Water CO-OP. House and horse barn on well and septic.Full pictures by this Friday!" "Home has been remodeled from the studs out with quality materials over the last 2 years & is comparable to a new home. Some of the great features are an open floor plan, a familyrm w/deck and view, office area, laundry rm & utility rm, kitchen w/eating bar, black galaxy granite counters, engineered Hickory Wd Floors, new heat pump, plumbing,electrical,roof & siding. Barn w/pasture, chicken coops & timber w/future value." 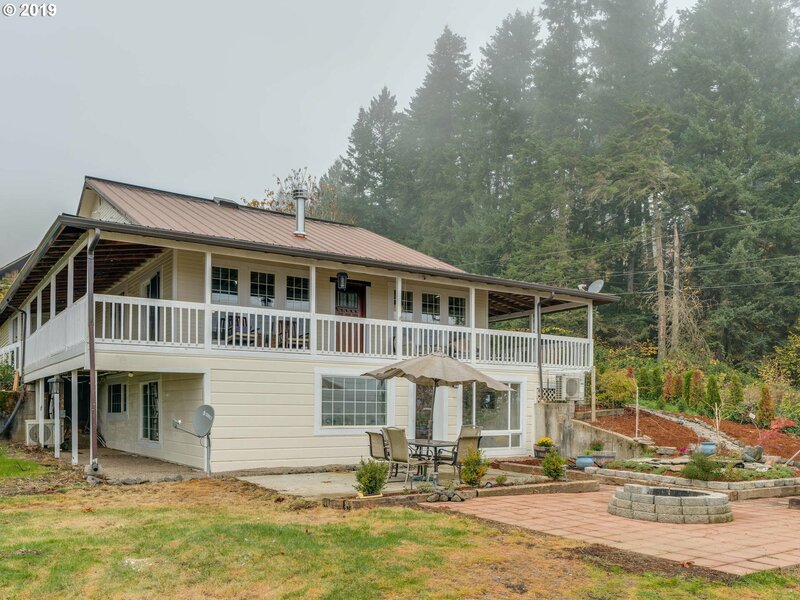 "Welcome to this remodeled gem on acreage w/ multi-generational living potential! This home has a terrific country feel w/ wrap around porch & lots of natural light. Large living & dining areas, dual master suites, dual kitchens & den/office on the main level. Remodeled baths, newer floor coverings & stylish finishes. Shop area, 80X60 barn/loafing shed, hay storage & fenced, usable pasture w/ chicken coop. HIGH SPEED INTERNET AVAILABLE." "Build your dream home w/stunning territorial & valley views! This lovely Adair home boasts beautiful upgrades, including 9' ceilings, quartz counters in kitchen, ss appliances & gas fireplace in great room. Tons of usable space: office, utility, laundry and shop! Full unfinished basement provides options for storage or additional configurations/uses. Gently sloping farm/pasture land to establish your hobby farm in heart of wine country!" "Build your dream home w/stunning territorial & valley views! This lovely proposed Adair home boasts beautiful upgrades, including 9' ceilings, quartz counters in kitchen, ss appliances, gas fireplace in great room, master bath w/dual vanity & soak tub. Versatile floor plan w/upper level bonus as potential 5th bedroom or entertainment/media room. Gently sloping farm/pasture land to establish your hobby farm in heart of wine country!" "Country Living at it's best on 4.22 acres. Open concept in living, kitchen, and dining areas. Kitchen features s/s appliances, breakfast bar, and pantry. Living room has a certified wood stove. Lg master bathroom suite & w/i closet. 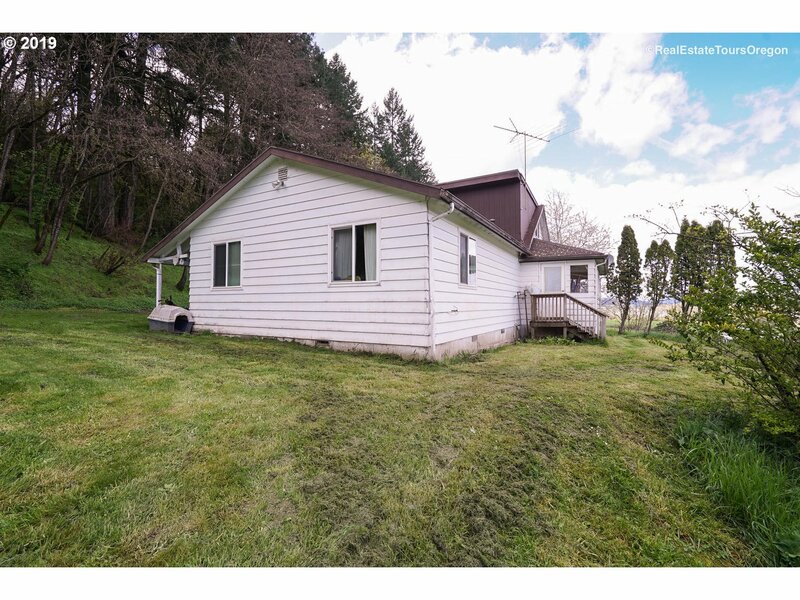 Huge garden area, fruit orchard, fenced livestock pastures, 2 acres of fir trees, and much more!! Incredible views from the house and 2nd story decks on the barn!!" "Small acreage (.83 ac) w/amazingly updated 2 bedroom/1 bath home, 30x36 shop w/ug 200v & outbuilding which backs to protected wetlands. Reconfigured interior- bright & open home w/huge vaulted living room & new woodstove; updated kitchen w/stainless appl & granite, newer flooring, paint, lights and more! Large secured area for RV/hobbies, firepit area, above ground pool, covered 18x36 cedar deck and amazing views!" 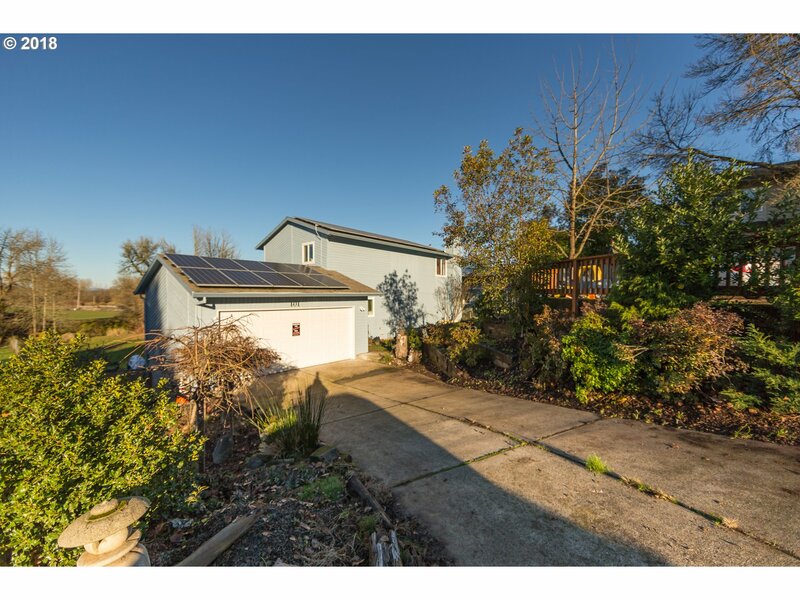 "Back yard on the Tualatin River (w/ water rights)deeded driveway access to back yard, HOUSE NOT IN FLOOD PLAIN. New h2o heater, exterior paint last year, interior main level, freshly painted. Tesla Solar panels, unfinished basement w/ ample storage/workshop. Master bath recently updated. Bank appraised $360k recently. THIS HOME ID GOOD! room for cosmetic improvements at this price! Great schools and community."